This past month, PBS Digital Studios launched a redesign of their website. The new site highlights their active online original series and features new and upcoming programming. 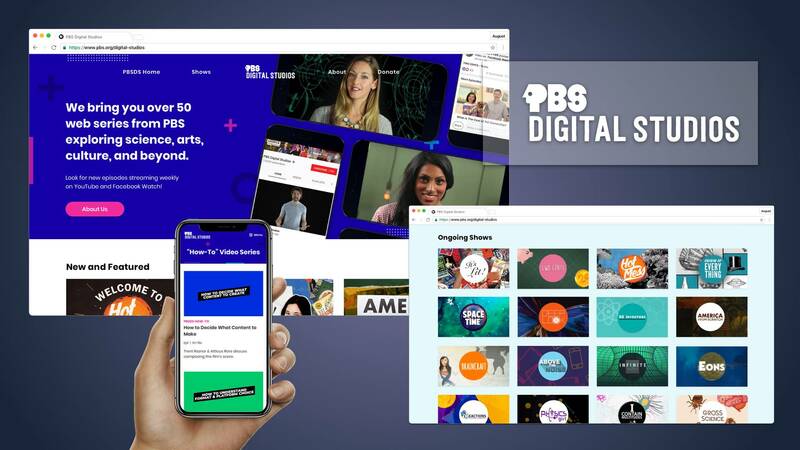 The PBSDS team wanted a site where fans could discover their shows, learn about what’s ahead, and find out what platforms they are streaming content on. Once the site’s goals were solidified, they reached out to the PBS Digital Design and Product teams for help in designing and building the new experience. "We had several collaborative meetings with the Digital Studios team to hone in on the site’s goals, information architecture, UX, and look-and-feel. Redesigning the site was a great way for us to give a nod to elements of the upcoming PBS rebrand. The team wanted the experience to feel vibrant and alive, so we established an electric color palette that plays off of the new brand’s signature blue and incorporated animated hover states that hint to the new brand’s movement." Designed with Bento 3.0 in mind, the new site utilizes some of the platform’s features and components to help speed the process along and keep things streamlined. - Julia Rose, Engineer & Web Developer, Digital Product Team. As a part of the redesign, the PBSDS Member Station Resources page received a refresh as well. "It's been an awesome experience meeting member station staff at the Digital Voltage workshops, and we're excited to have a fresh presence where stations can learn about the various resources we can offer." Strengthening digital production strategies for PBS Member Stations is a large component of the PBS Digital Studios’ mission. With support from CPB, The team developed a 17-part video training series where stations can find helpful information on creative development, production, post production, audience development, and community engagement. In the series, PBSDS team members, show producers, and hosts present best practices and discuss challenges that content creators face while conceptualizing and producing the series. 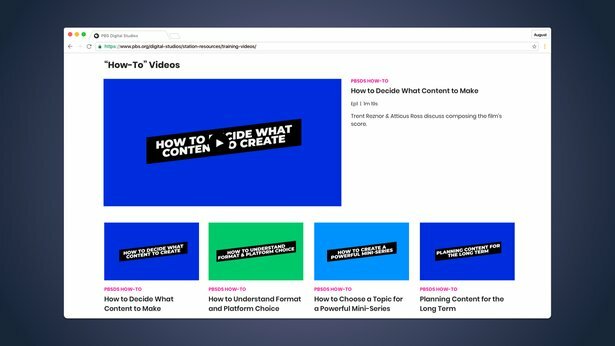 Take a look at the new site today at pbs.org/digital-studios! You can also learn about the resources their team offers to member stations and watch the training series here. If you have any questions, you can reach the PBS Digital Studios team at pbsdsmemberstations@pbs.org.